Every family goes through awkward stages, but these pictures will prove that some families take it to another level. Go on and take a look at some photos that will prove to you why you’re doing just fine as a parent or a human being in general. Your wedding day is meant to be the greatest day of your life. The bride wears a beautiful white gown, while the groom is supposed to wear a tuxedo. This couple missed the mark just a little. 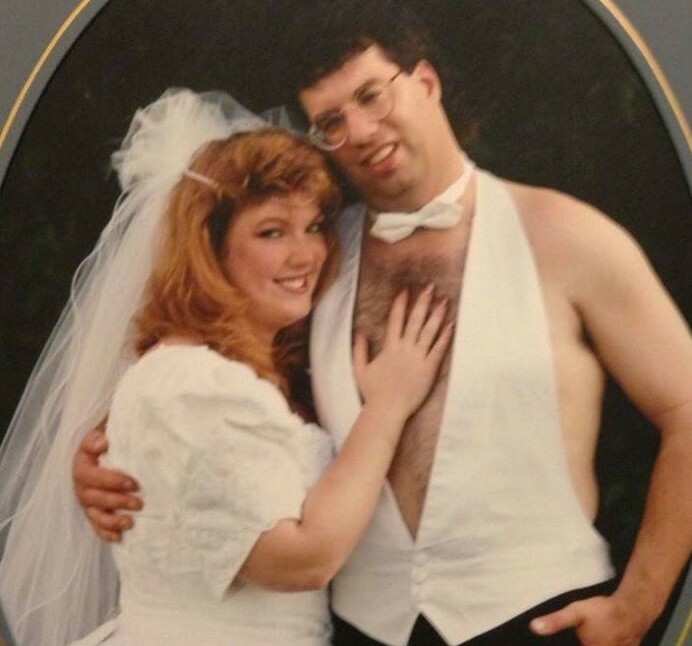 The groom’s chest hair isn’t meant to be front and center in your wedding photos. We wonder if that is also how he got married or if he had a little too much to drink and took off his shirt and decided the vest was enough. Why did the wife even approve of this? Love makes you do questionable things. In 20 years when she looks back at the photo, she’ll either laugh or become very angry.